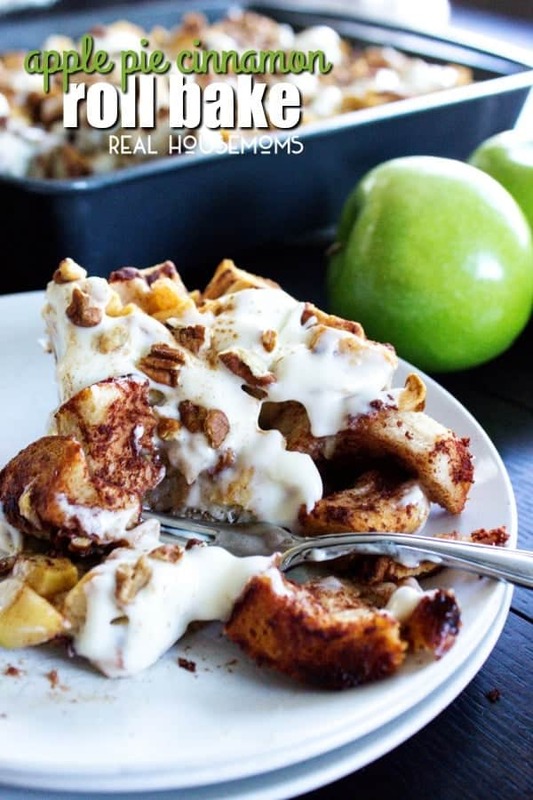 Apple Pie Cinnamon Roll Bake is an easy breakfast casserole with chunks of cinnamon rolls, apple, cinnamon, pecans and cream cheese icing! I love making cinnamon rolls for breakfast. There is just something comforting about them. Maybe it is the aroma of the house as they baking. Or the warm cinnamon rolls with gobs of cream cheese icing. Either way, this is a weekly must have in our house. Over the holiday season apple pie, apple cobbler, apple cider and apples with caramel dip became routinely requested items. My kids love apples. So one morning while I was running too short for time and still wanted to make easy casserole recipes even if it was semi-homemade I was inspired by apple everything and decided to use some “emergency” cinnamon roll dough in my refrigerator and make Apple Pie Cinnamon Roll Bake. I was a little nervous the cinnamon rolls wouldn’t bake or the apples would be too mushy, but this Apple Pie Cinnamon Roll Bake turned out perfectly! The kids and I were impressed. In fact, we loved it so much we made it again and added frosting. Then we made it again and topped it with pecans. Then we made it again with all the toppings and had it for Christmas Eve. And everyone loved it at our family Christmas Eve party. I hope your holiday season was everything you wished for. My family and I enjoyed our time together laughing, watching movies, playing games and eating, eating and eating. Cut the cinnamon roll dough into quarters. I had 15 cinnamon rolls from the refrigerated dough I used, I cut all 15 into quarters, making 60 pieces total. 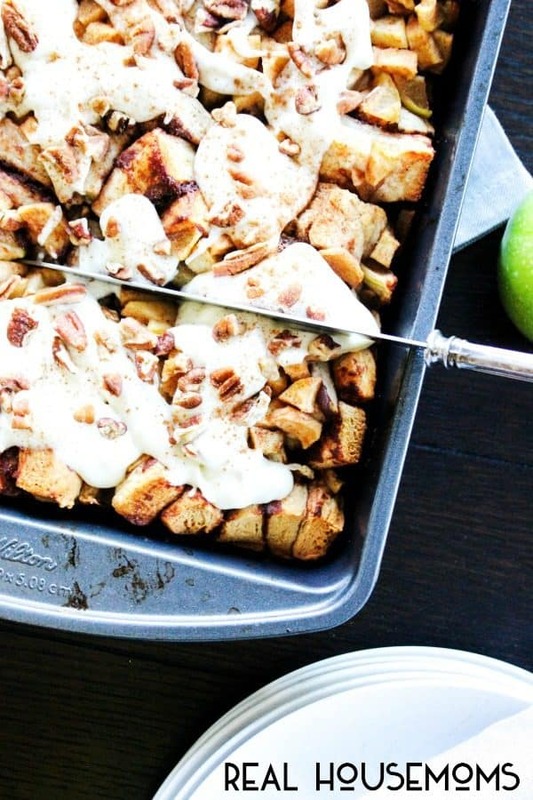 Add the cinnamon roll pieces to the 9x13 prepared pan, set aside. In a large saute pan, add butter and place over medium-high heat. 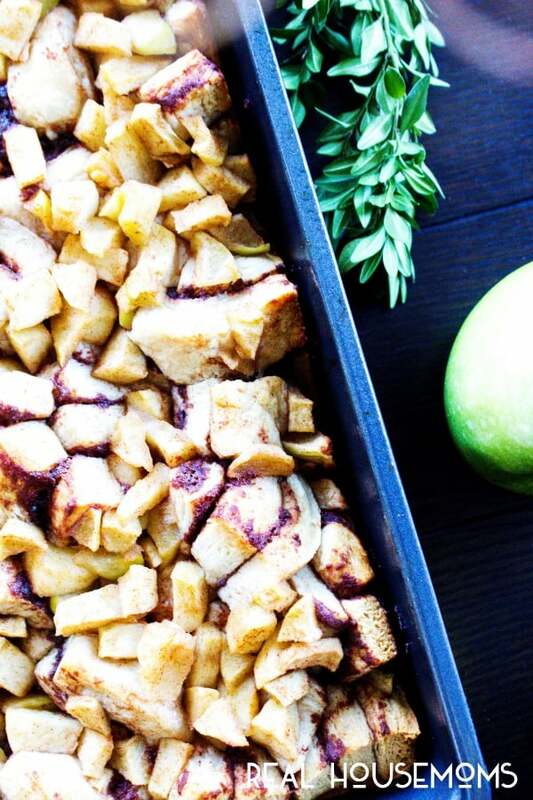 Once butter has melted add chopped apples, sugar and cinnamon. Cook over medium heat until apples are tender. The time will vary depending on how you cut your apples, took me about 7 minutes for my apples to be tender. Once apples are cooked add on top of the cinnamon rolls chunks in the pan. 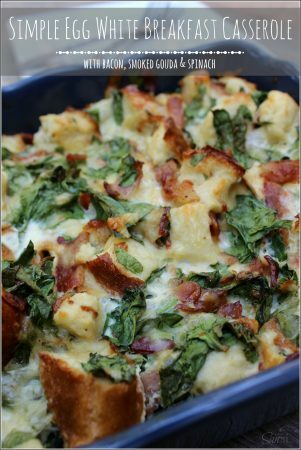 Place in oven and bake for 35-40 minutes or until cinnamon rolls are completely baked up and top is slightly crispy. Cream together the cream cheese and the butter until smooth. Stir in the powdered sugar and milk (start with 1 tablespoon and add more to get the consistency you desire). Whip until smooth. 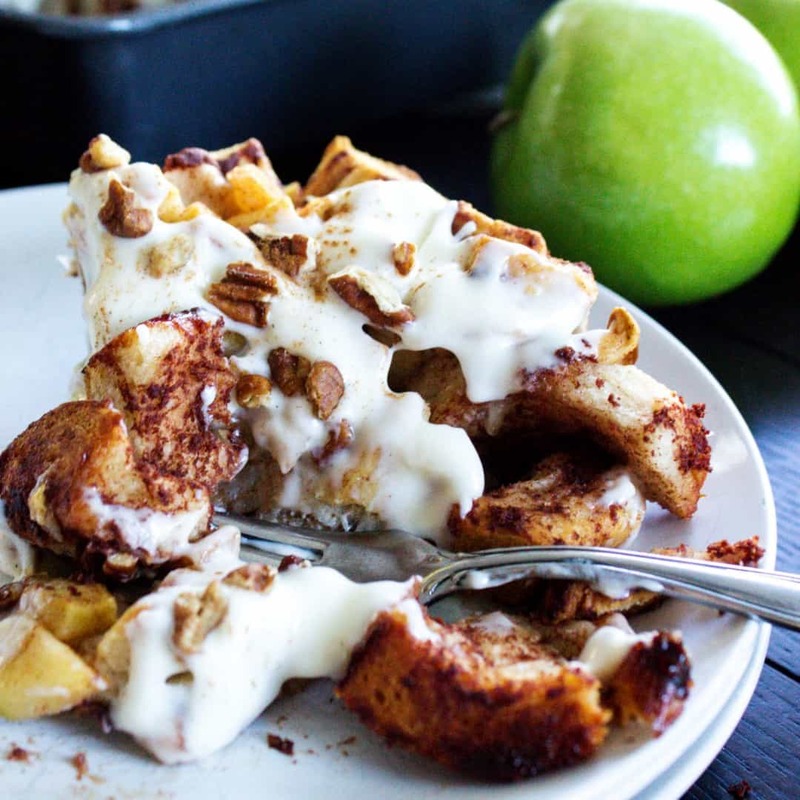 Drizzle over Apple Pie Cinnamon Roll Bake and top with chopped pecans or walnuts. 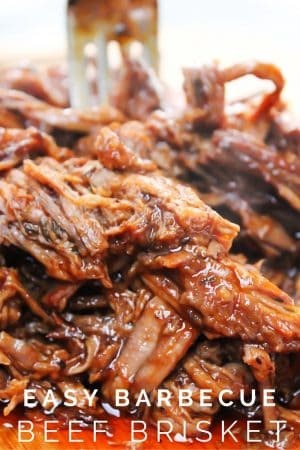 Serve immediately or store at room temperature until ready to serve. If you are making this a day before, just wait to add the frosting until you are ready to serve. Frosting needs to be stored in the refrigerator, cinnamon roll bake can be stored at room temperature. Check out these A Dash of Sanity cold weather favorites. Thanks so much for this recipe. I tried to make it for the kids yesterday, and they absolutely loved them.